Searches out ore in the nearby area. Simply click a block and it searches in the opposite direction for you. By default, the weakest items can only find coal and iron, and the higher levels can find better ores. Any ore or block, vanilla or modded, can be added in the config file. 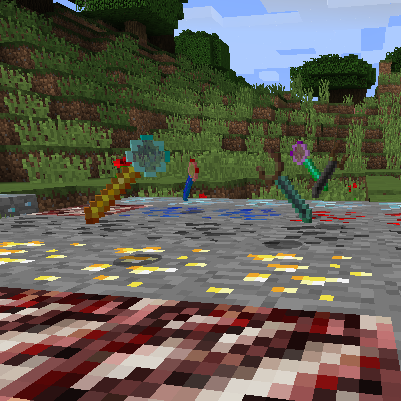 Eventually i may add built in support for some of the most common ores. Issue tracker link is above. let me know of any feedback or improvements. Modpack permissions: go for it. Hey, since you changed your GitHub name your Source link is broken! Hiya Lothrazar. Interesting mod, someone on our team brought it to my attention. I'm assuming the /1 is the meta. Is there a way to wildcard that so that its effectively "ignore meta" ? Edit: You can simply omit the tag entirely (/#) and it ignores the meta. Nice. Similarly, is it possible to list oreDicts somehow?